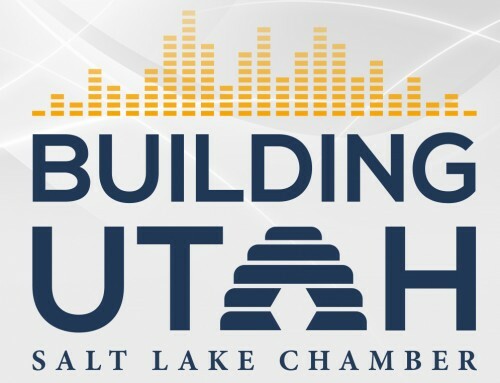 This Women’s History Month the Salt Lake Chamber is sitting down with female leaders from around the state to talk about their path to success, what inspires them and how others could follow in their footsteps. In this video we sit down with Provo Mayor Michelle Kaufusi. Born in 1966 in Provo, Utah, Michelle Kaufusi has grown up following her mother’s life example. She works hard, listens to others, believes in getting things done and champions the value of education. The sixth of seven children raised by a single mother — who worked graveyard shifts as a nurse to provide for her family — and the Provo “village” of neighbors, family and friends, Kaufusi relied on the things she’s learned from her mother and from being a mother herself to guide her path and her decisions. Kaufusi is a lifelong Provo resident who was a student at Wasatch Elementary, Dixon Middle School, and Provo High School before she graduated and went to Brigham Young University on an academic scholarship. She intended to major in elementary education and psychology. She ended up with a Bachelor of Science degree in Global Studies and local government because she realized she wanted the service opportunities that could come with adjusting her choices. After she met her husband in college — she was a Cougarette and he was a football player who went on to coach at BYU —she married and moved to Philadelphia and New Jersey. She became the mother of five children, four boys, and a girl. In November of 2017, she made history when she was elected the first female mayor in Provo City’s history. She’s been involved since her children were small, serving on the PTSA boards in her children’s elementary and high schools. She served on the Provo School Board since 2011 and as president. During her service on the board, Provo residents were asked to support a $108 million bond to pay for renovations and new schools. She’s also served on the Provo City Citizens Advisory Board, the Utah High School Athletic Association and the steering committee for Utah Valley Regional Medical Center’s hospital replacement project. When Kaufusi first heard that she won the mayorship she thought of her late mother and the debt she owed to her. She plans to be fiscally conservative while in office, but wants to “transition smoothly” and “keep Provo moving forward.” She expects the road ahead to be challenging but she also expects she can do the job. She hopes to make her mother and the citizens of Provo proud.